The case against the Former Bayan Muna Rep. Satur Ocampo and ACT Teachers Party-list Rep. France Castro together with other leaders of militant groups and volunteer teachers who were charged with human trafficking and kidnapping over the transport of 14 minors in Talaingod, Davao del Norte has earned the support from various tribal leaders of the indigenous peoples community who condemned and urged to stop exploiting lumads. "A Call to free the Mindanao Lumads from the Communist Manipulation and Exploitation"
The International relations expert and a proud lumad himself Jun Avelino did not mince his words in his Facebook post denouncing the lumad exploitation committed by Ocampo and his allies allegedly recruiting children to rally against the government. 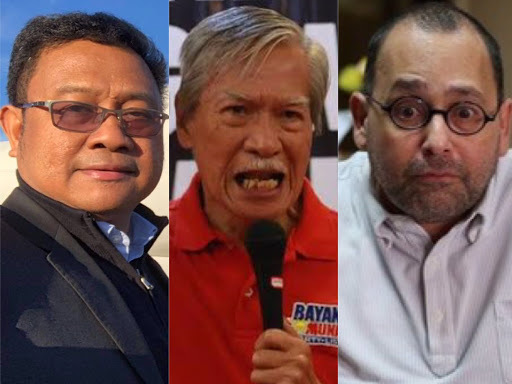 "I find these acts of former Bayan Muna and ACT party list representatives and their religious and NGO minions as outrageously condemnable," he wrote. Who is the real Exploiters? Avelino, a known staunch supporter of Duterte administration also pointed that the recent act against the Lumads only justifies it was the New Peoples Army (NPAs) and their legal fronts disguising thru a non-government organizations (NGOs) and several various religious groups are the real exploiters of the indigenous people or the lumads in the country. "This only confirms the assertion that the real exploiters of the lumads in Mindanao and the entire country for that matter are the NPAs and their legal fronts camouflaging as NGOs and religious organizations," he said. 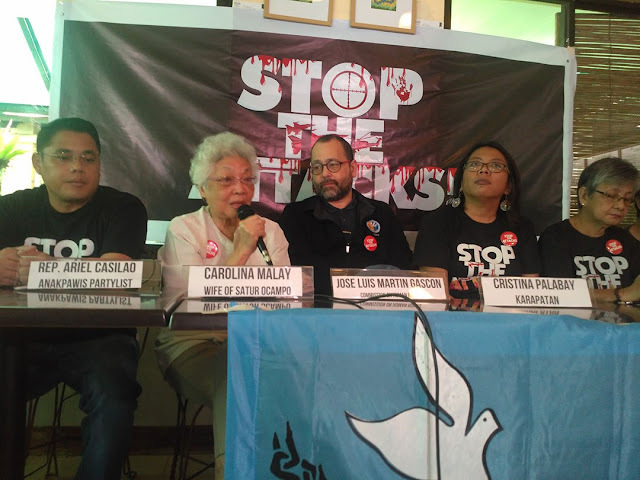 "They have been using the lumads as their shield in fighting the government troops and if the tribal leaders/datus refuse to cooperate with them, they are mercilessly executed and accuse the military as the perpetrators. You heard it from the horse’s mouth - the narrative itself of the tribal leaders from the video and Satur and Rep. Castro themselves failed to rebut having caught “red” handed.," he added. The expert also criticized Commission on Human Rights (CHR) chairman Chito Gascon, who sent a quick response of the issue and has launched for an investigation into the detention of Ocampo and his allies to find out if their rights were violated but failed to investigate the sufferings of the tribal leaders from the hands of the NPAs. "The Commission on Human Rights has never investigated the deaths suffered by the tribal leaders under the hands of the NPAs for the obvious reason that the said Commission is biased against the government and is supporting those maniacs from the left instead," he said. 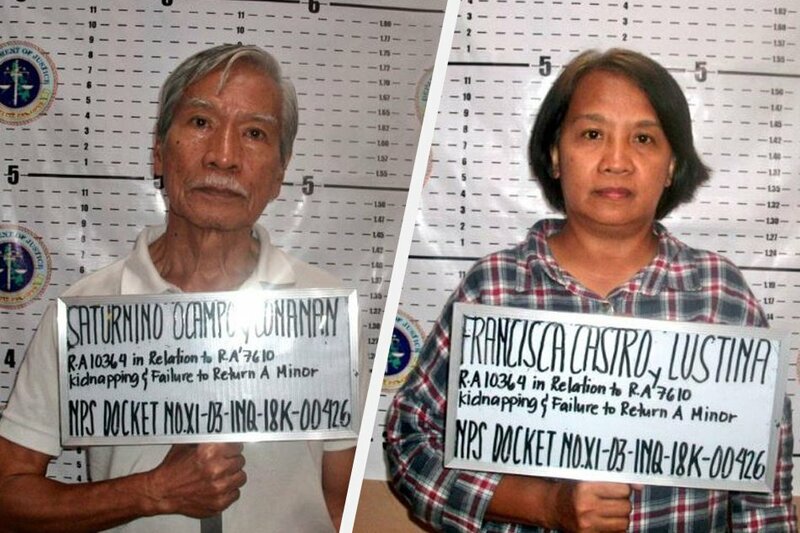 Ocampo and Castro, however, claimed that they were only in the area of Talaingod to rescue the children and teachers of Salugpungan Learning Center - allegedly using different curriculum that promotes the communist doctrine, but the latter debunked by the elders council of Talaingod and said that Ocampo and his companion did not seek permission from the council and the parents when they took the lumad children. As a proud lumad myself, being a Manobo from Davao Occidental, I find these acts of former Bayan Muna and ACT party list representatives and their religious and NGO minions as outrageously condemnable. This only confirms the assertion that the real exploiters of the lumads in Mindanao and the entire country for that matter are the NPAs and their legal fronts camouflaging as NGOs and religious organizations. They have been using the lumads as their shield in fighting the government troops and if the tribal leaders/datus refuse to cooperate with them, they are mercilessly executed and accuse the military as the perpetrators. You heard it from the horse’s mouth - the narrative itself of the tribal leaders from the video and Satur and Rep. Castro themselves failed to rebut having caught “red” handed. What is disturbing is the pronouncement made by these tribal leaders that the lumads do not have human rights when they are killed by the NPAs and only NPAs do have. True enough, because the Commission on Human Rights never investigated the deaths suffered by the tribal leaders under the hands of the NPAs for the obvious reason that the said Commission is biased against the government and is supporting those maniacs from the left instead. This assertion from these tribal leaders should serve as a hard wallop against the face of Chito Gascon, and if he has some amount of decency left in his being, he should kick himself out of the CHR or better yet, man up (if he is indeed a man) to commit hara-kiri for being a shame to the country. Sanamagan! The most preposterously disgusting of all is the fact that after exploiting the situation of the lumads and accusing the military of being the perpetrators, these NPAs, through their NGO cohorts and allies in the Senate, House of Reps and those in the powers that be, use the plight of these victims in raising funds from the government coffers as well as charity and development institutions abroad, particularly Europe purportedly to ease the suffering of the lumad victims under the hands of the military the way they maliciously project it to be. But in truth, the revenues collected are being used to fund the destabilizing efforts of the NPAs and the left for that matter, sustain the existence of these NGOs for the hefty salaries of their staffs and only God knows that a huge chunk of these funds go to their own pockets, while the intended beneficiaries, the lumads, get nothing, as can be ascertained by their continued miserable economic situation.